I saw some people ripping on this game and was like why? Dinosaurs come with gore, why not make a horror game from that? Or movie. I think part of the challenge lies in the vapidity that is the Jurassic Park series (III is the best STFU), which turned dinosaurs into something fearsome, but not horror. I mean you could have replaced dinosaurs with genetically enlarged rhinos and it would have had the same effect, though the toy line would have been weak. Dinosaurs have teeth with which to tear flesh, so to take that potentially fearsome theme and turn it into horror is exactly what Oakwood tries to accomplish. Coming from Breaking Dimensions and Polygon Dust, Oakwood takes place in British Columbia at an abandoned campground of the same name that has connections to Native legends. A group of your friends broke into the secured area for camping fun and you discover their site has been ravaged and all of them are missing. Thus begins your journey into dinosaur horror. Don't laugh. 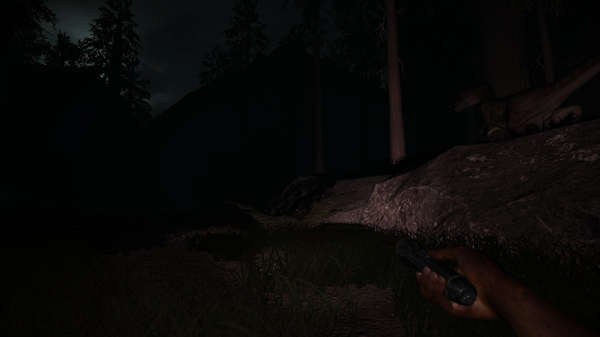 As first-person survival horror the game comes with the expected flashlight scenarios and dark spaces and, of course, you piece together the story through found objects like letters and camp documents and a walkie-talkie that occasionally connects to your friends. All of this occurs as you wander the abandoned grounds of Oakwood and avoid dinosaur death. Seriously don't laugh. 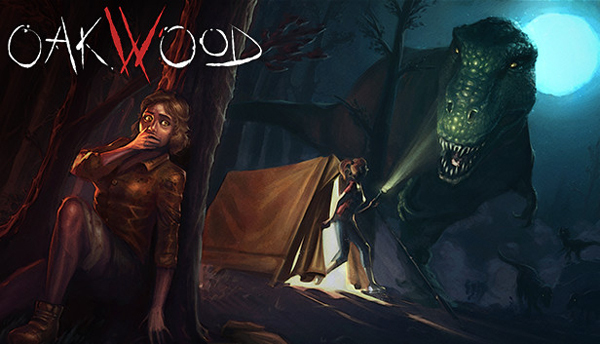 I wasn't sure if I myself would laugh as I played Oakwood but I was pleasantly terrorized by dinosaur fear. Some have noted the lack of intelligent AI, which is obvious. The dinosaurs largely respond to position prompts when you encounter them, but to criticize the game as mundane for that one detail misses the real point. The fact is the dinosaurs interact as much as they need to and the story that's laid out as you play is the real key to how it works. But this begs the big question we started with, I think, which is do dinosaurs actually make for good horror? Here, in most cases, yes, but it isn't the dinosaurs themselves that do it in actuality. Because no one's afraid of dinosaurs like that. 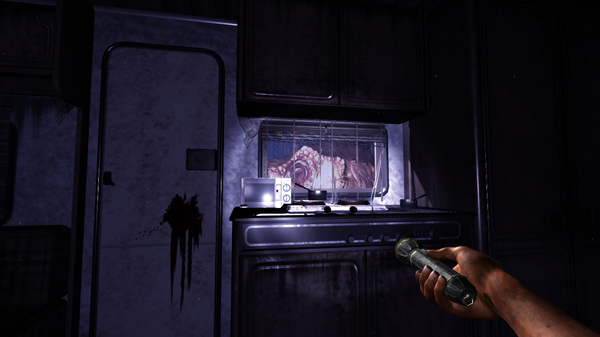 Oakwood's graphics are somewhat primitive and stuck in the late 2000s, but the way various scenes play out, such as the run-and-chase with a velociraptor inside one of the buildings, is where it succeeds in creating horror. Rustling in the weeds, pounding and hissing at doors, the tension points were carefully chosen. But don't expect a challenge here, you won't find it. For that reason, and others, Oakwood just barely made the cut for deuterocanon. What saved it is the way the story is told. Dinosaurs? Yeah not scary, sorry. It's the way they're presented that makes it. They're thus merely pieces of a story. I would say, then, that Oakwood succeeds in creating dinosaur horror because it's not really about dinosaurs at all. It's about tension, darkness, and dread, which is really what all good horror relies upon.